Dubai Business Advisors - Incorporation Specialist in Dubai : WHY INCORPORATE OFFSHORE ? Companies in some on-shore jurisdictions, where we provide incorporation services as well, also have comparatively low taxation. For instance, a Dubai offshore pays no taxes on profits from operations generated outside of UAE. At the same time, onshore companies must comply with all relevant filing requirements, which are often costly. Registrars in most offshore jurisdictions do not disclose information about directors, shareholders and beneficiaries of offshore IBC companies. Thus, the underlying principal may carry out all relevant transactions in the name of an offshore company while remaining anonymous. It is important to note that this applies to legitimate operations only. In the international business context, it is usually the laws of the jurisdiction of incorporation that are applied, rather than those, where the company is being sued. 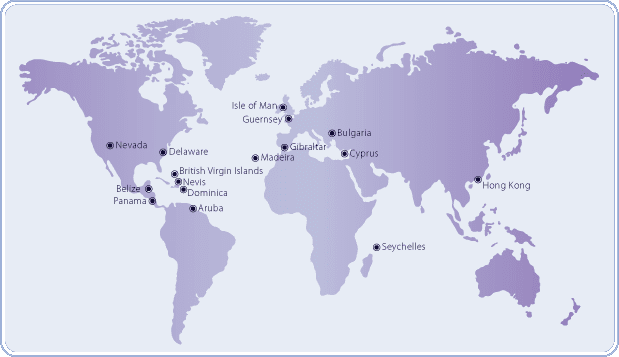 Many offshore jurisdictions are renown for their favourable asset protection laws. Complementing an offshore company with an offshore banking facilities, protects company’s assets even further. The compliance reporting requirements for offshore companies are limited, especially in comparison to companies, registered in onshore jurisdictions. Most offshore IBC companies are not required to file annual reports and accounts in the jurisdiction of the company formation. Instead, local authorities charge a flat annual licence fee, which is insignificant in comparison to reporting expenses and taxes in onshore jurisdictions. With limited reporting requirements, offshore companies generally have lower maintenance and operating fees. The cost of compliance, preparation of accounts and auditing in on-shore countries is often considerable while offshore companies save on these particular expenses. Registered office fees are also significantly lower than buying or renting premises in onshore jurisdictions. A virtual office could be also set up at the registered address of the company to further lower the effective fees of running one's business.